The new iFlex Dock Gate from A-SAFE is a revolutionary solution for service yard safety, designed to defend dock loading bays, contain stray vehicles at dock entrances and protect assets and door infrastructure from impact damage. In hot climates, loading bay doors are often left open for air flow, creating a dangerous sheer drop. The iFlex Dock Gate creates a physical stop when loading doors are open but not in use, with enhanced strength barrier for world-class impact resistance in heavy vehicle environments. Retractable locking device - Quick-slide Memaplex™ locking collar maintains barrier strength and integrity to withstand heavy vehicle impacts. Traditional solutions have long since proved insufficient in the fast-paced world of modern industry, where vehicle weights create extreme forces, and pressures of fast turnaround can lead to human error. Steel gates lack the strength to be effective against heavy vehicles, such as fork lift trucks. 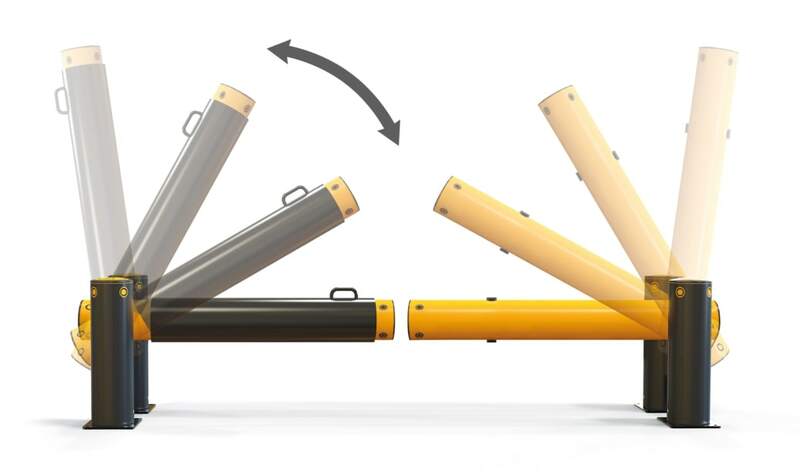 In gate configurations that must be lightweight to open by hand, steel can fail or buckle. The lack of flexibility means posts and floor fixings can be warped or ripped up, causing costly downtime, repairs and replacements. Steel will corrode, further depleting its strength and requiring frequent maintenance and re-painting. Fabric banner alternatives may cushion some light impacts, however, the clip-joints on posts can rupture and fling steel components across the workplace at high velocity. Fabric has flexibility without resistance strength. Under impact it can flex beyond the sheer drop of the loading door; the impacting vehicle will fall, with massive risk of injury and vehicle damage. Lift and self-hold - Easy lift action and upright hold, barrier pivots between bollard posts to protect door frames and shutter runners whilst loading bay is in use. The iFlex Dock Gate uses Memaplex™ advanced polymer technology and precision engineering design, offering superior impact protection and reform flexibility. With their custom-built manufacturing machines, A-SAFE control the molecular flow of premium polyolefins, re-orientating molecules into a grid-like structure for in-built memory and enhanced strength. 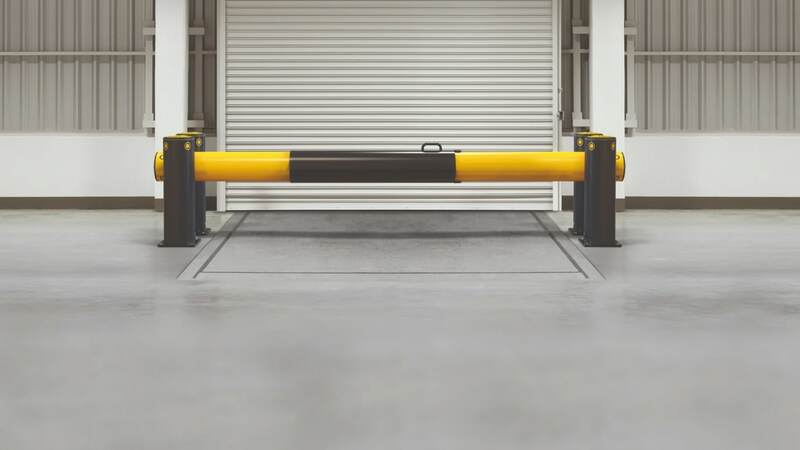 When closed, the iFlex Dock Gate barrier is positioned at the optimum height for loading vehicle impact zones, preventing both front-facing and reversing vehicles from straying beyond the loading area. Double bollard posts offer high levels of collision resistance even when the gate is open, protecting door infrastructure and shutter rails. Suitable for all docking areas, the simple manual operation, quick-slide collar lock and cantilever design give easy access and ample opening room. Enhanced force absorption - Precision engineered perforated cap is made from a unique deformable material and moulded on custom-built machinery. It controls the emission of air pressure should impact occur, increasing force absorption. 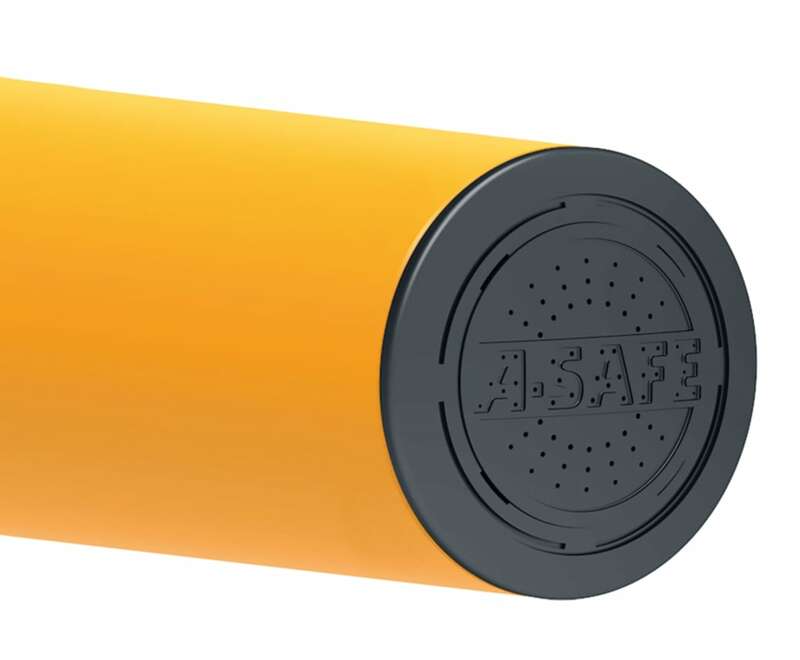 A-SAFE’s knowledge, passion and experience is setting the benchmark for a new generation of scientifically engineered safety, driving the future of workplace protection.